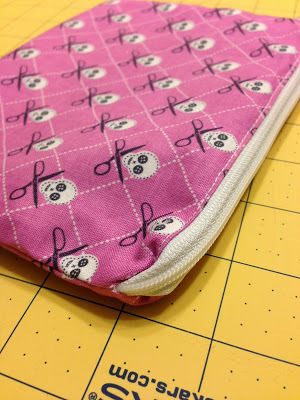 This is an incredibly easy zipper pouch tutorial. 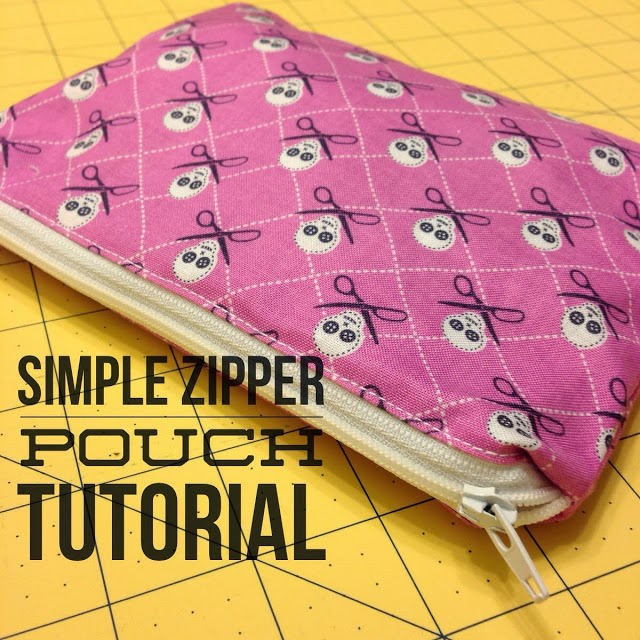 I’ll show you how to install a zipper and make a lining for the inside of the pouch. It’s easier than you think, and I did my best to show how it’s done with some clear how-to photos. If you’re like me and have procrastinated on Christmas shopping, here’s a handmade craft that you can make for your friends. Once you get the cutting done, everything else comes together quickly. 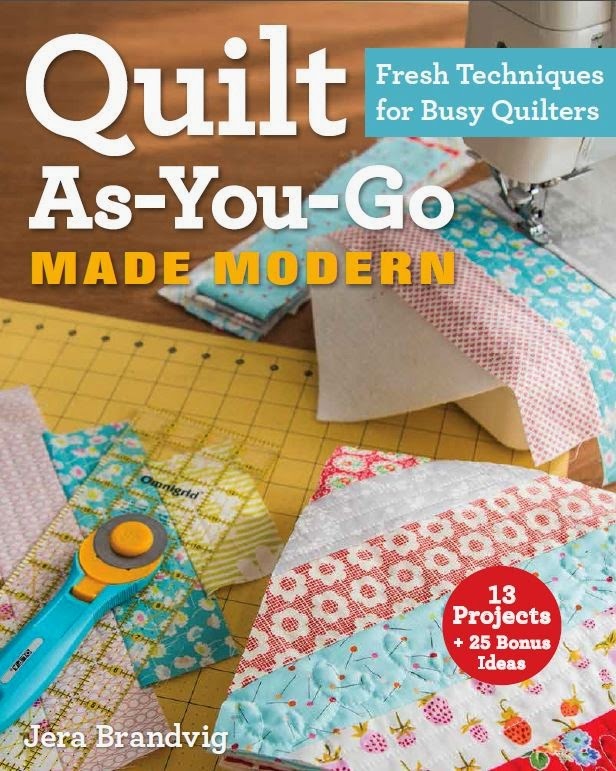 If you can sew a line, then you got this! I know this would have been more helpful had I posted it a couple weeks before Christmas, but hence the whole thing about procrastinating! (oy). 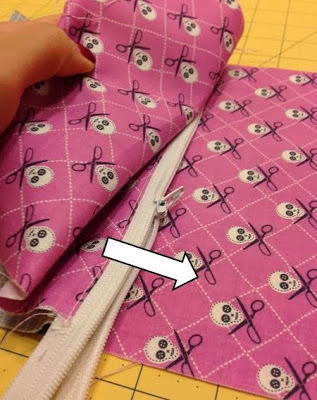 But the good news is this is a truly easy tutorial, and people will be impressed because you installed the forever-feared zipper. 1. 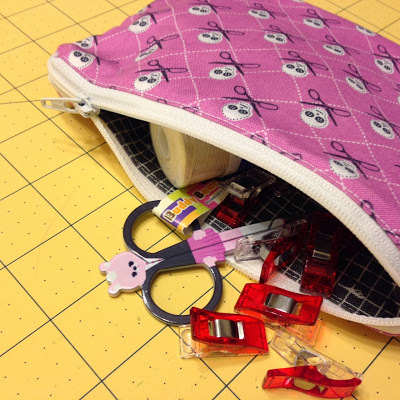 For your Quilter friends make it a ‘Binding Kit’ and fill it with those mini (adorable) thread scissors (you can never have too many! I’m obsessed), those cute little red binding clips, a couple of needles and some good thread. That’s everything needed to bind a quilt all contained in this handmade pouch! 2. 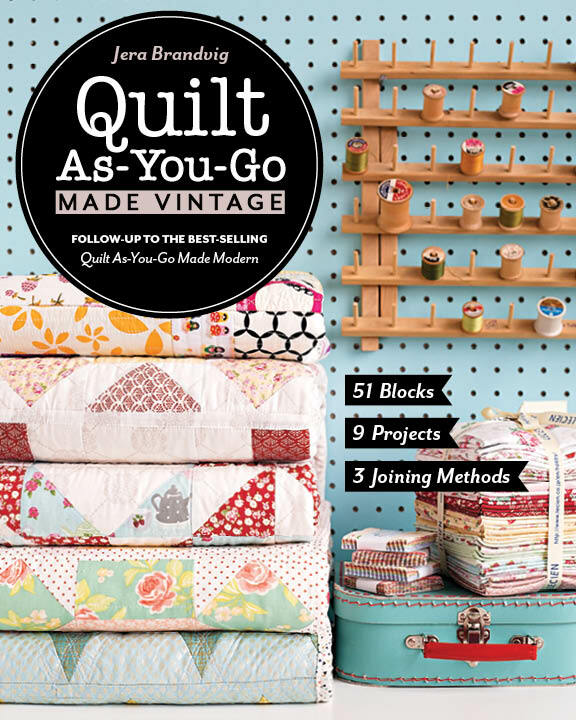 For your non-quilter friends, fill it with some fun lip gloss, nail polish, all that girly-girl stuff that we like. 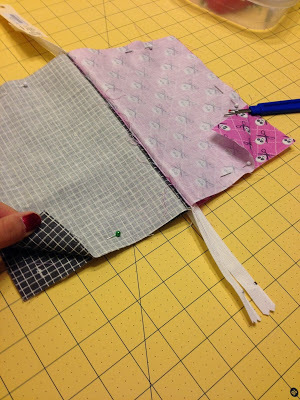 1.Place the zipper so the top is facing up. 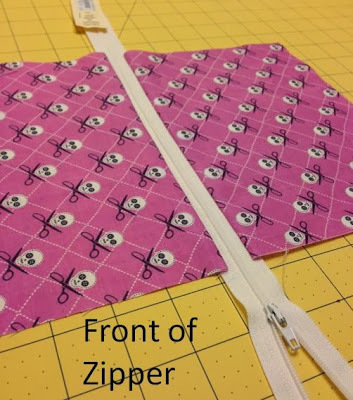 Take a rectangle (main print) and align it along the edge of the zipper as shown below, making sure the wrong side is facing you. Sew it in place. (however, if your presser foot is wide, you may need to use a zipper foot). 2. 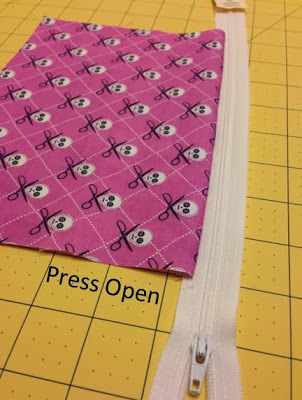 Press open so that the correct side of the fabric is facing you. 4. Next, flip it over so that the back of the zipper is facing you. Repeat steps 1-3 but on the back side of the zipper and using the lining fabric. 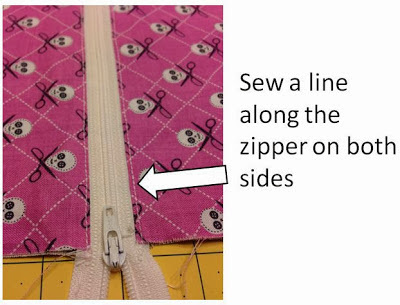 5.After both the main fabric and lining fabric is attached to the front and the back of the zipper, respectively, sew two lines along the zipper as shown below. 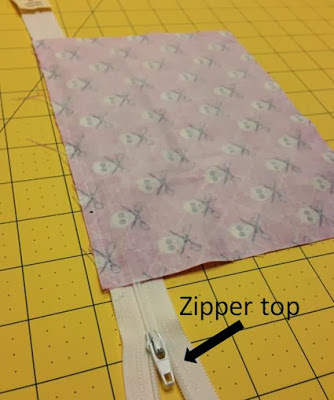 Doing this will make it so the zipper doesn’t snag on the fabric when zipping it open and closed. 6.Now it’s time to finish it! Start by unzipping the zipper half way down the middle. 7.Next, fold the main print over so that the right sides are facing together. 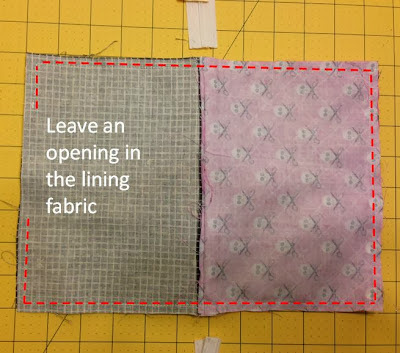 Do the same so that the right sides of the lining fabric are facing together. The wrong side of the fabric for both the main print and the lining should be facing you. 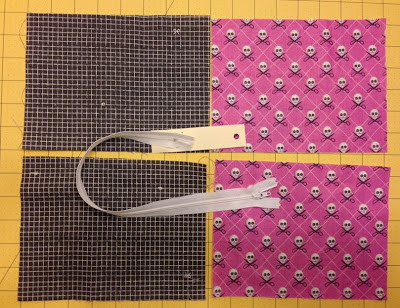 Make sure all the edges and corners are aligned and then pin to keep in place. 8. Then, Sew along the perimeter as designated by the red dashes, making sure to start (and eventually end) your stitch on the side with the lining. Remove the pins as you sew. Also, leave an opening at least 5″ wide. 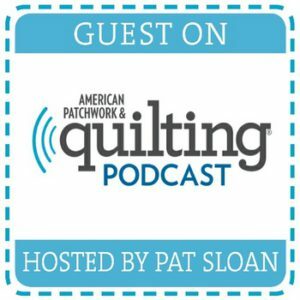 Start and end your stitch with a back-stich. 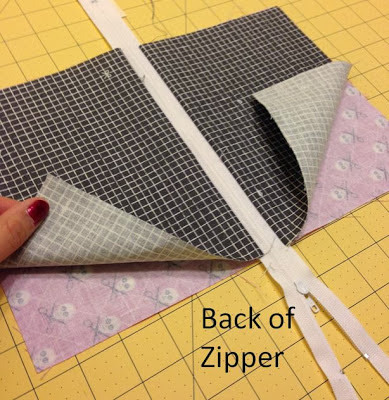 Trim off the extra zipper. Note: When you get to the zipper, sew slowly over it. It helps to use a walking foot. 9. 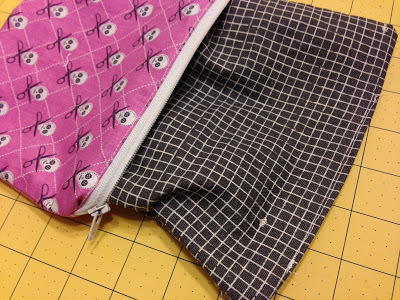 Turn everything right-side out through the 5″ opening and through the zipper opening. 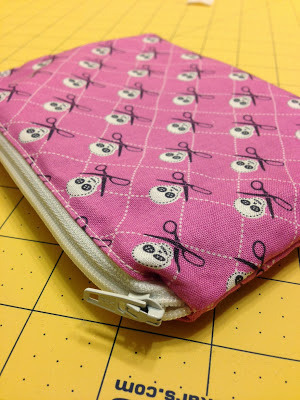 then sew closed the 5″ opening on the lining (I simply folded the seam 1/4″ inwards and did a top-stitch). 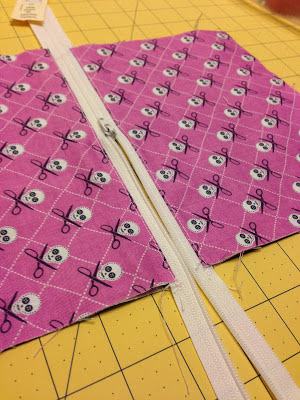 Stuff the lining back inside the pouch, and iron everything flat for a finishing look. Aaaand you’re done! Спасибо за мастер-класс! Все очень понятно! Yes it is!!! 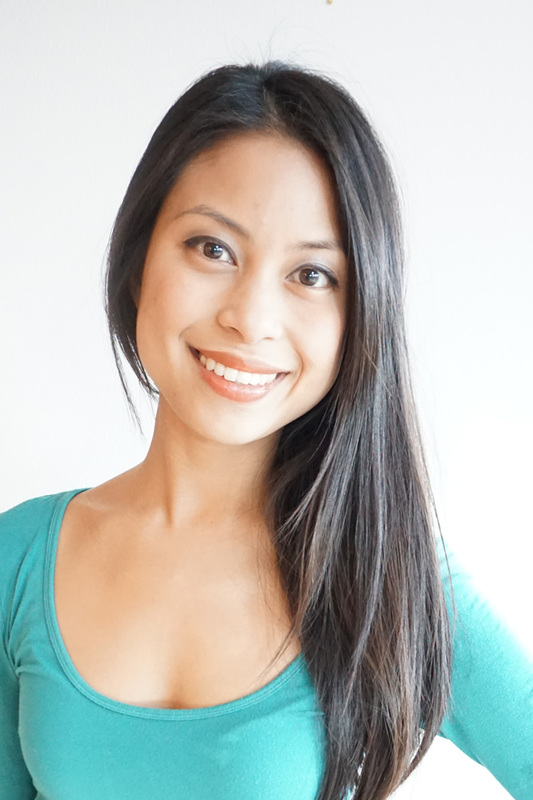 I have been scared to try these, but I so GET this tutorial! Thank you!!! Thanks for the tutorial. Now I can make some quick gift for some special people. Thanks again. This is exactly what I've been looking for – thank you! Thank you for the tutorial. I now want to make pouches because I understand your instructions without feeling stupid. 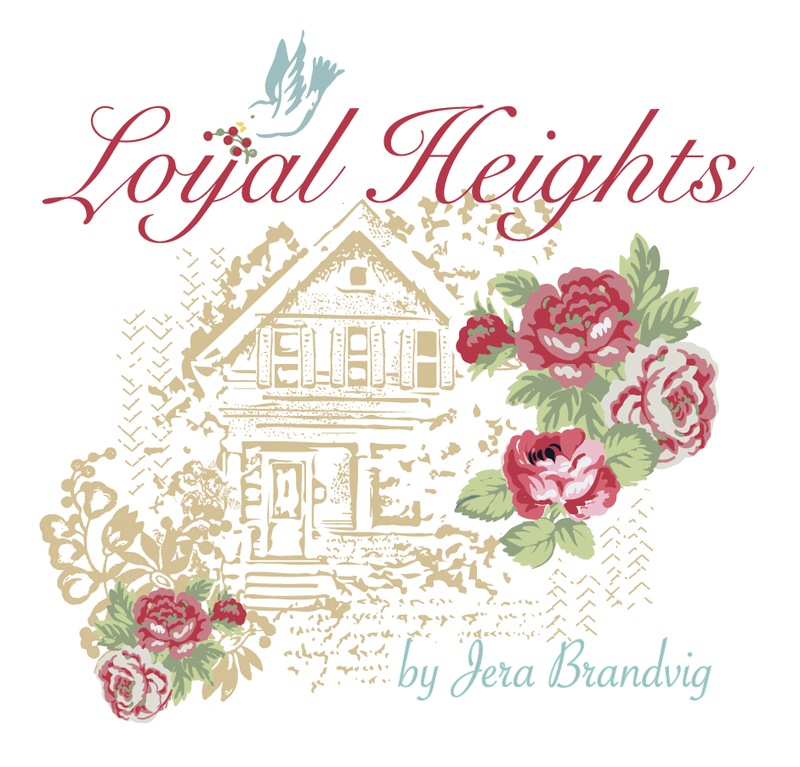 Thank you Jera, will try making one today! !